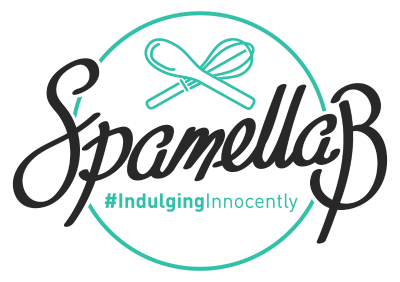 As a busy freelance recipe developer and blogger working with health food brands, I’m always in the kitchen and a lot of my time is taken up with prepping ingredients, which can sometimes feel like a chore. 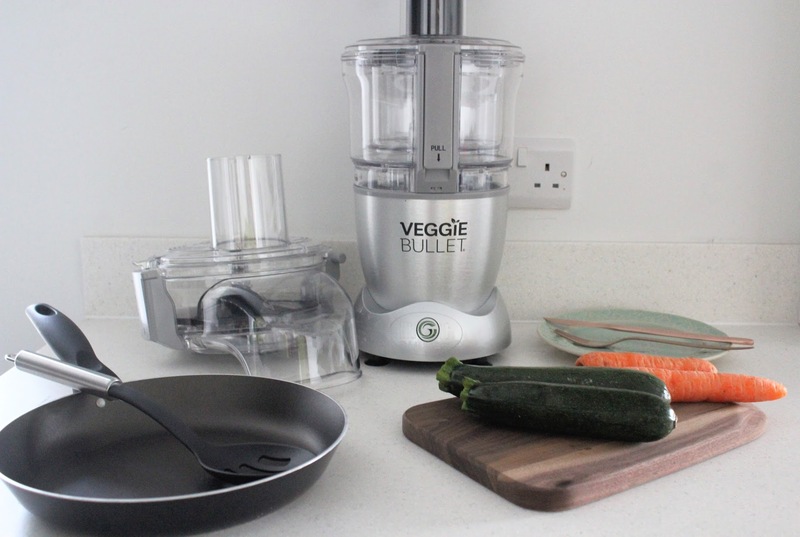 With a baby on the way in July, I’m more conscious of time-efficient things which will help to make life easier while continuing my recipe and blog work – which is where the Veggie Bullet comes in. High Street TV has just launched the brand new 3-in-1 spiraliser, shredder and slicer, the latest addition to the NutriFamily range and is the latest healthy eating hack on the market. 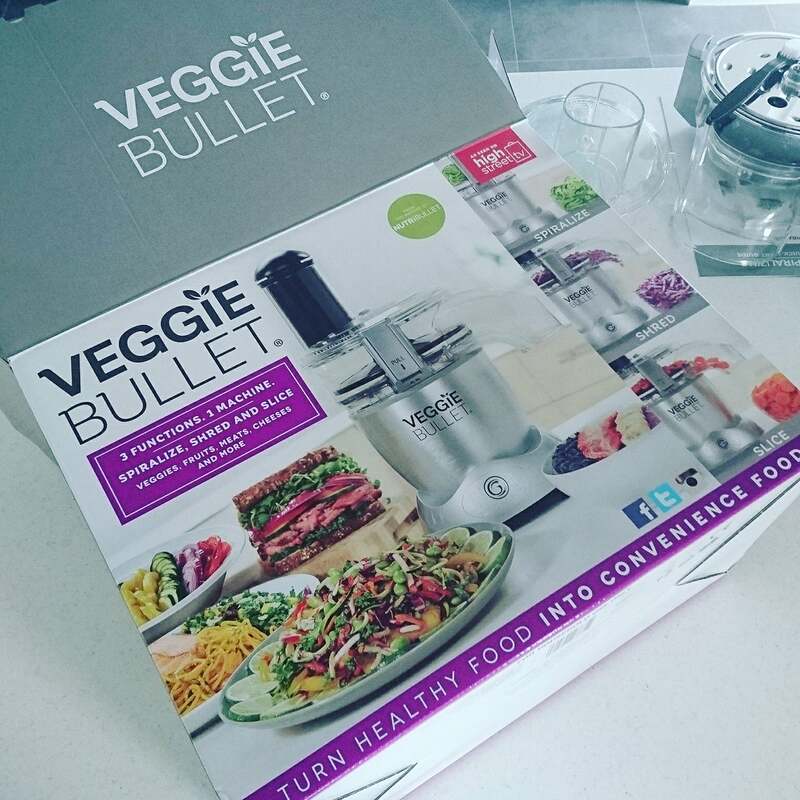 With the aim of taking the hassle out of time-consuming food prep, the Veggie Bullet is there to do all the hard work for you, making it ideal for a low-carb, gluten-free, vegan or just generally healthy lifestyle and encourage you to boost your fruit and vegetable intake. Other than my blender and an electric whisk, I’m not really one for fancy kitchen gadgets (I like to keep the kitchen not too cluttered!) but I was keen to give this a try. Although the base takes up quite a bit of space (not to mention the additional parts), assembling it is very straightforward thanks to the helpful quick-start guide plus the mini recipe book included is also great for inspiration for how to use it. 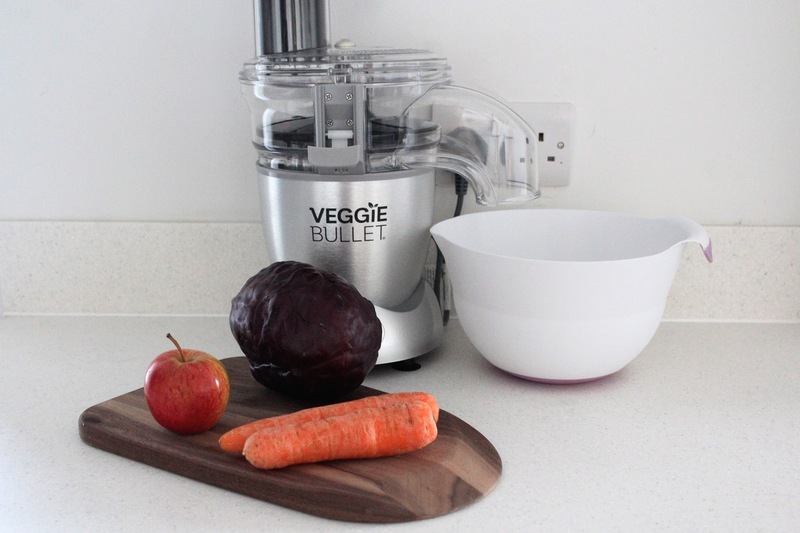 What’s good about the Veggie Bullet is that it can prep large quantities of fruit and vegetables in seconds – it just takes a little time beforehand to cut them up into pieces that will fit down the chute of the machine. Once that’s done though, it’s quite cool to see the transformation of the ingredients in the clear container, all nicely shredded, spiralised, sliced or grated evenly – ready for you to use as part of a meal. The ONLY thing I wasn’t a fan of – this is something I’m sure many of you will agree with – is when it comes to washing up gadgets, blenders and manual spiralisers; difficult parts to reach, fiddly things to remove… The Veggie Bullet comes with a ‘toothbrush’ to help reach those annoying areas plus the elements are all dishwasher safe which is definitely handy! Other than that, I’m happy with how the Veggie Bullet is fitting into my busy work schedule and allowing me to free up some time by prepping things for recipes – in fact it’s even given me more ideas for meal possibilities which is quite exciting. Retailing at £149.99, I’d say if you spend a lot of time cooking and/or simply want to eat healthier without the faff of chopping, spiralising etc. then this gadget is a great addition to any kitchen. 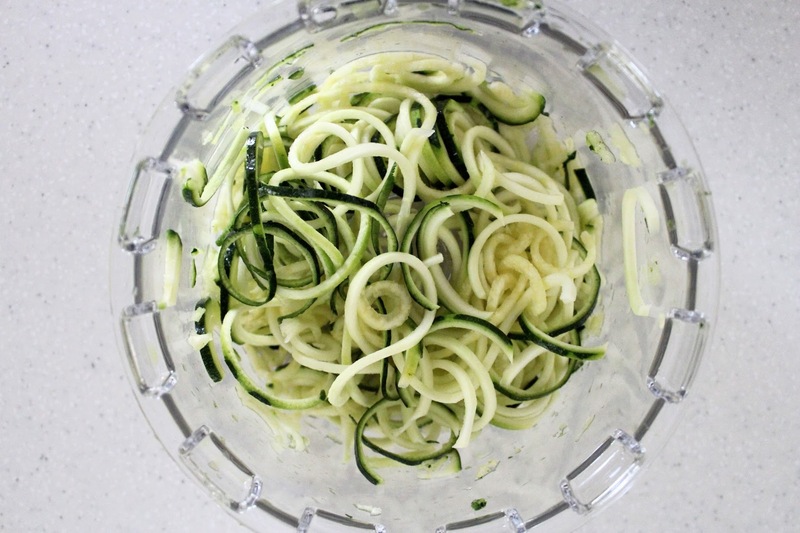 Use the Spiraliser on the Veggie Bullet to spiralise the courgettes. 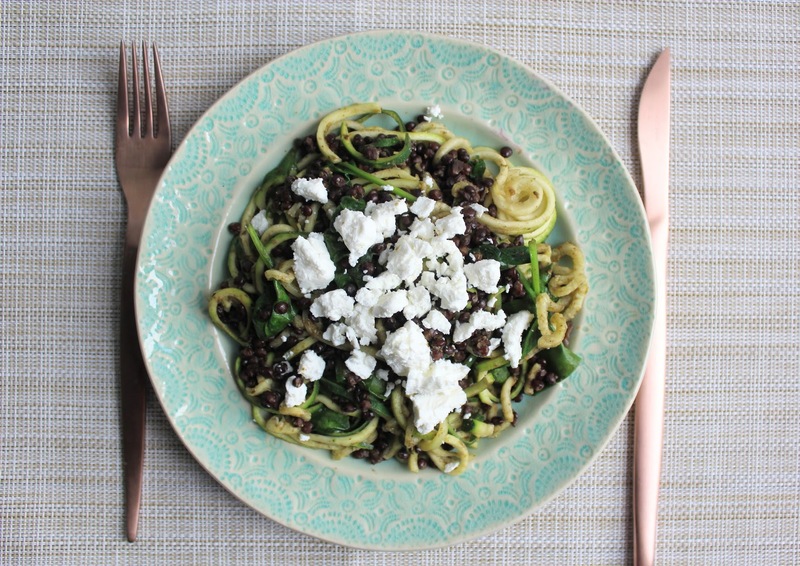 Heat the oil in a non-stick pan and cook the courgetti for 3-4 minutes to soften a little. Now add the lentils, pesto and spinach leaves, continuing to stir while this cooks for another 3-4 minutes. 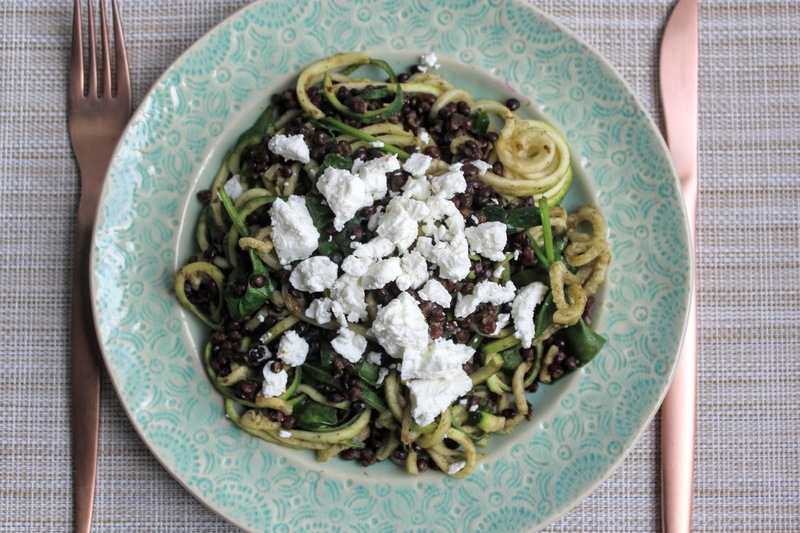 Serve out onto a plate, crumble over the goat’s cheese and sprinkle with black pepper. Enjoy! 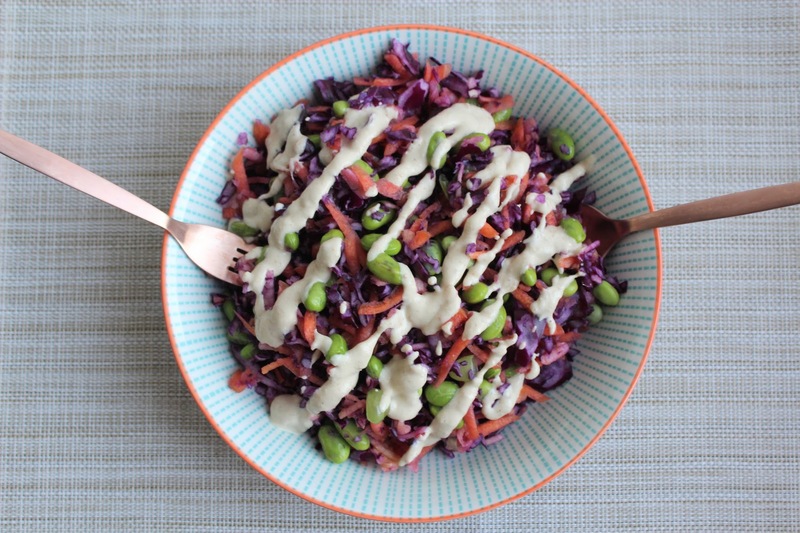 Use the Shredder on the Veggie Bullet to shred the red cabbage, carrots and apples then place in a bowl and stir in the edamame beans and 1 tbsp of the lemon juice to prevent browning. Keep in the fridge. 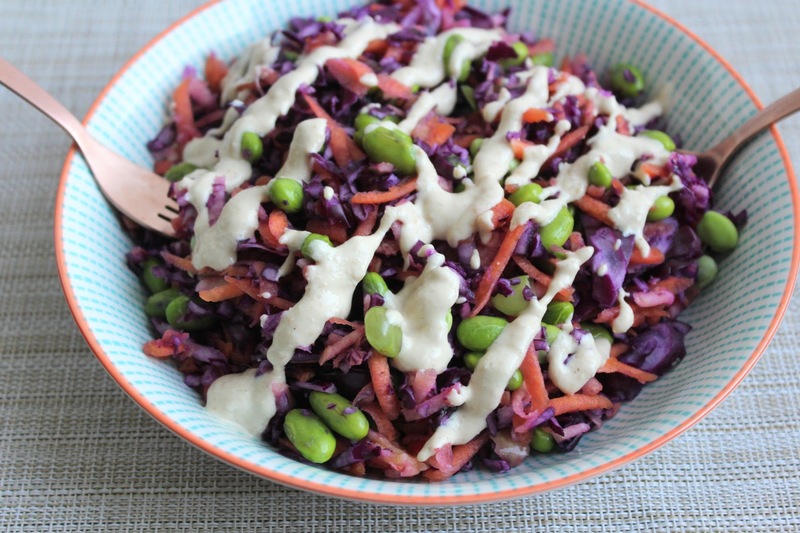 Whisk together the tahini dressing ingredients with a little water to achieve the desired consistency. Serve out the salad between plates then drizzle over the dressing. Now enjoy!